Bohren, C.F., and B.A. Albrecht (1998). Atmospheric Thermodynamics. Oxford University Press, New York. Petty, G. (2008). Introduction to Atmospheric Thermodynamics. Sundog Press, Madison, WI. The text of Stull (1988) offers a thorough general treatment of boundary layer meteorology, which lays out the theoretical foundation for turbulent energy exchange. Specific applications to turbulent heat transfer over snow and ice are presented in Andreas (1987, 2002). Andreas, E.L. (1987). 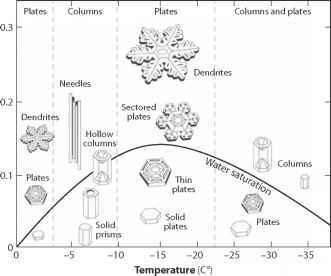 A theory for the scalar roughness and the scalar transfer coefficients over snow and sea ice. Boundary Layer Meteorology, 38, 159-184. Andreas, E.L. (2002). Parameterizing scalar transfer over snow and ice: A review. Journal of Hydrometeorology, 3, 417-432. Stull, R.B. (1988). An Introduction to Boundary Layer Meteorology. Kluwer Academic Publishers, Dordrecht, The Netherlands, 666 pp.